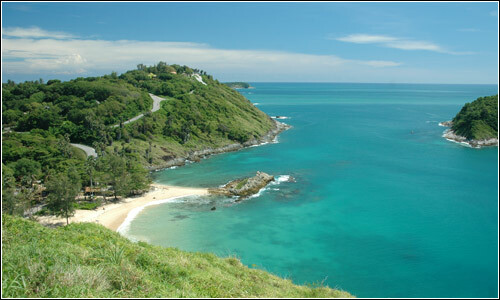 Nui Beach is a very small beach that lies between Promthep Cape and Nai Harn Beach, along the island’s coastal road. This beach is well known, as it has two separate areas that can be used for swimming all year round. This is because of the beaches location, and large waves rarely reach the beach. It also has a coral reef, that can be explored by both divers, and people wishing to snorkel.